What would you do if one day you woke up as a horse? Olivia is outraged when her parents forbid her to ride and she wishes she could run away and be with horses forever. But after falling off her favourite horse, Olivia is shocked to find out she has mysteriously changed into a horse! 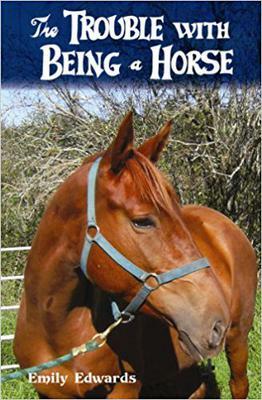 As a girl in a horse's body, Olivia must put her knowledge of horses to the test as she navigates this new and bizarre world. Struggling to communicate with both humans and horses, Olivia does her best to fit in. But when she can't resist showing off how much she knows, her secret is in danger of being found out! Want to read SUPER BADLY!! Sounds so good! Urgh, I need to read it! Where can I find it? This is a great book! I have no idea why I'm the only person to have commented on it. The plot is funny, the writing is well done and the main character is likable and believable. I think the author has a lot of talent. Read this book! You won't be sorry you did! Return to Share Your Favorite Horse Books For Girls!.